Waterloo, Ont. 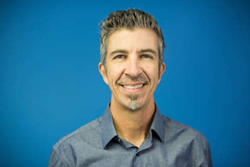 company Athena Software, creators of the Penelope case management software solution for health and human services, announce the addition of San Diego-based sales executive Scott Collins to its growing business development team. Scott Collins is Athena Software's new Manager of Business Development in the U.S. Working with Athena has reinvigorated my desire to show the world what great software like Penelope can do. Athena Software (http://www.athenasoftware.net) is pleased to announce Scott Collins as its new Manager of Business Development for the United States. Based in San Diego, Calif., Scott’s focus will be on continuing to grow Athena Software’s presence in the U.S., where hundreds of health and social service agencies are already using the Waterloo, Ont. company’s Penelope case management software application. Scott brings with him over a decade of experience as a sales executive for companies providing client information systems to health and human service agencies in the North American market, where his work ethic, industry knowledge and ability to build and maintain strong relationships with clients helped him achieve consistent success. Prior to starting his career in sales, Scott worked in a management capacity for numerous social service organizations, giving him a unique combination of experience and insight with respect to the challenges facing agencies in the nonprofit sector. In his time on the front lines, Scott worked as a case manager for Vista Hill Foundation, which provides behavioral and mental health services to youth and families in the San Diego area. Later, he worked as a national coordinator for the San Diego Workforce Partnership, where he developed and managed relationships with major corporations providing placements to at-risk youth. Scott also worked for nonprofit Access Inc., where he managed and developed a regional effort for a multi-site national foster youth initiative. In the past three years Athena Software has seen tremendous internal growth, more than doubling the number of staff at its head office in Waterloo, Ont., while also adding employees in the U.S., Australia and New Zealand. Athena’s Penelope case management software application is used by hundreds of health and social service organizations globally - its client base includes agencies in 15 countries on five continents, and Athena estimates Penelope is used by close to 20,000 human services providers around the world each day.